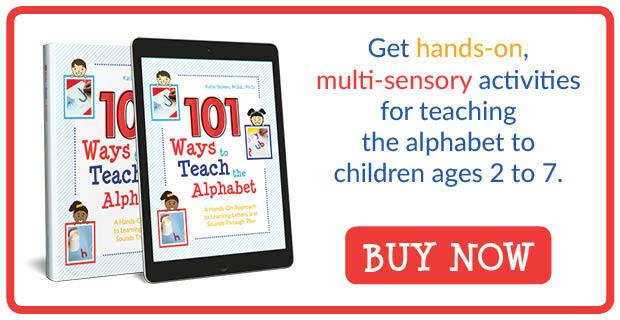 In this week’s installment of my 101 Ways to Teach the Alphabet Series, I’m sharing an activity that develops fine motor skills and letter knowledge at the same time. 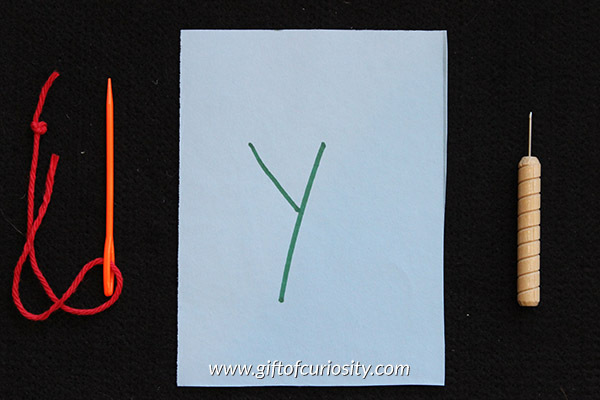 I call this activity poking and sewing letters. 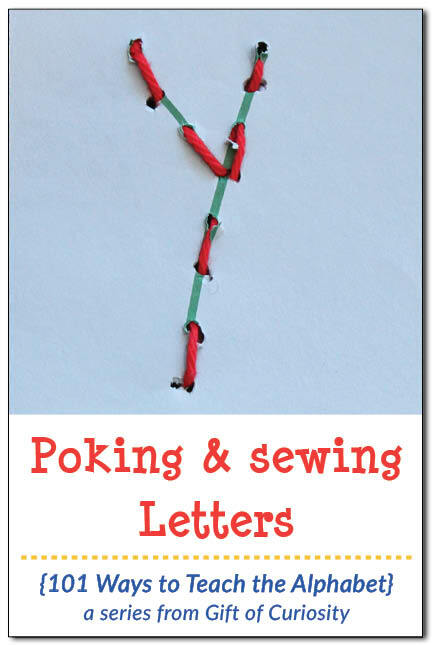 If you’ve got a child who likes pin punching activities or sewing activities or – better yet – both, poking and sewing letters would be a great activity to try. 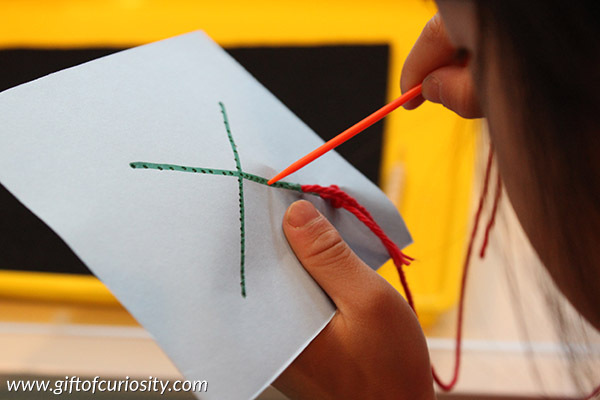 Poking and sewing letters is really two different activities combined into one. The first step involves poking holes in a letter. The second stop involves sewing the letter using the holes the child just poked. 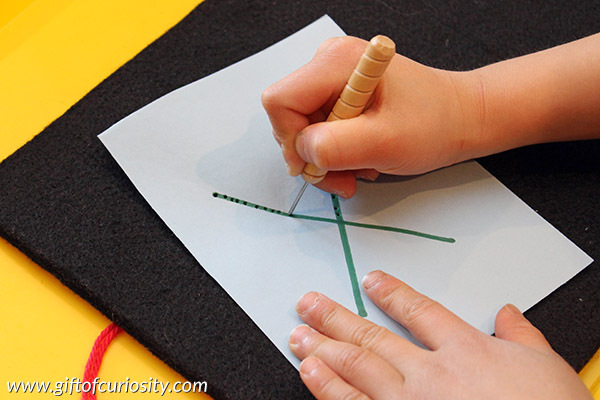 For pin punching activities, we use a wood handled pin puncher from Montessori Services paired with a high quality, thick felt mat, also from Montessori Services. I placed the pin puncher and mat on a tray along with a letter written on cardstock. 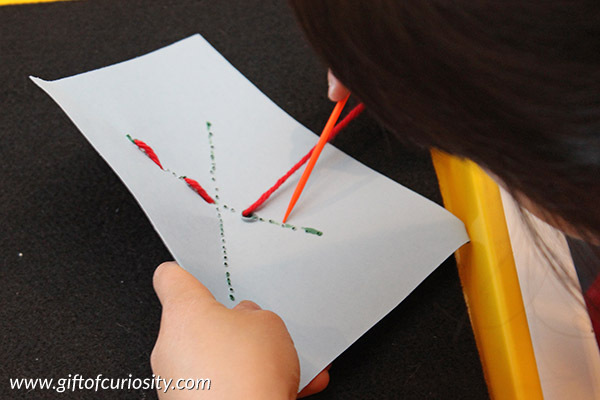 We have done poking (aka, pin punching activities) before. So when I invited XGirl to poke holes in the letter she knew just what to do. 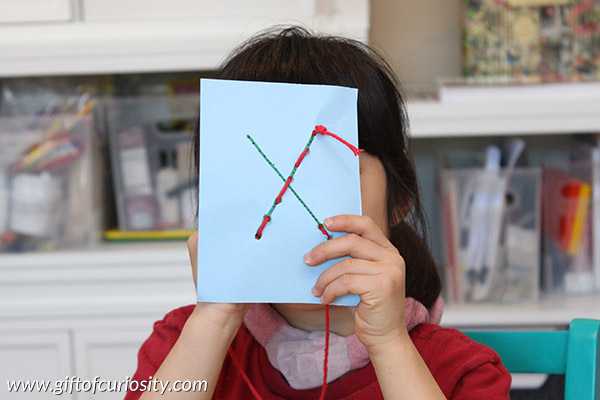 After she finished poking holes in her letter, I invited her to “sew” the letter using some yarn and a child-safe plastic needle. She poked a LOT of holes in her letter, so I suggested she sew larger segments that skipped many of her holes. Oh the concentration she put into this activity! 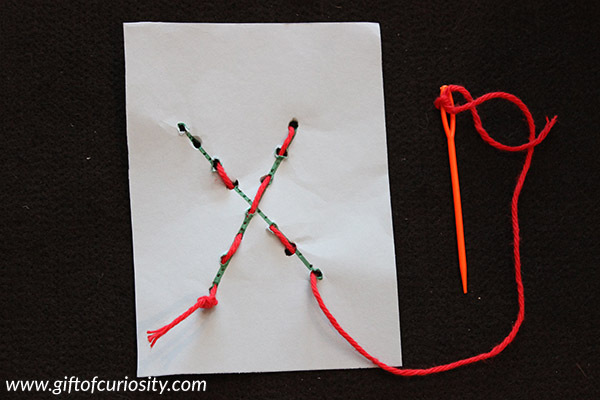 When she was done, she had a nicely sewn ‘X.’ I helped her knot the yarn so she could cut it off.